The beauty of an ottoman lies in its multi-functional appeal, while also bringing beauty and style to a room. 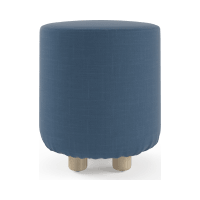 Discover a wide range of round ottomans available from Brosa below. 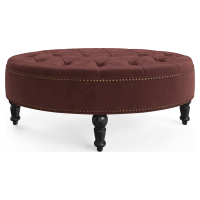 Style your round ottoman in a number of ways, whether you want to use it as an extra seat, footrest, or add a tray to the surface to instantly transform it into a coffee table. Take your pick from a range of styles that are designed to suit any interior, from classic to contemporary to industrial to retro. Styles with hidden legs or polished wooden legs are on offer. 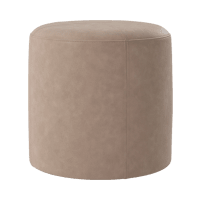 Designer details are what set this selection of round ottomans apart from the rest. Choose from tufted styles, or pieces with brass studding. A number of fabrics and materials are also available. For a stylish and classic look, opt for around ottoman upholstered in premium 100% pure leather. 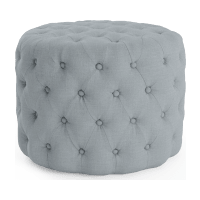 Warwick Mystere velvet adds a luxurious touch to the look of your round ottoman, while Brosa Signature Premium fabric is a unique blend that is both high quality and low maintenance. 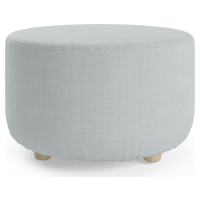 Complete the look my matching your round ottoman with one of Brosa's stylish sofas or lounges, for a cohesive look.